Classic boot style just got better with the Born Poole. This women's tall boot features beautiful full grain leather uppers, with an interior zipper running the length of the calf to allow for on/off ease. The leather and fabric linings provide an inviting environment, and the cushioned footbed helps you feel comfortable all day long. Two adjustable straps make fit breeze, while the Opanka handsewn construction provides superb durability without sacrificing flexibility. 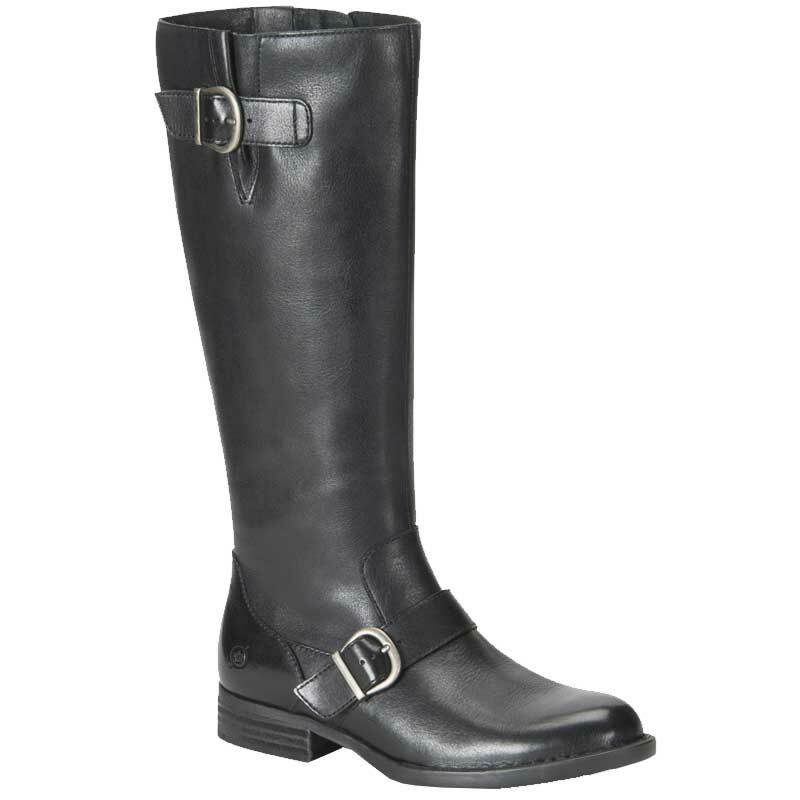 Equestrian inspired style and feminine luxury combine in the Born Poole boots.